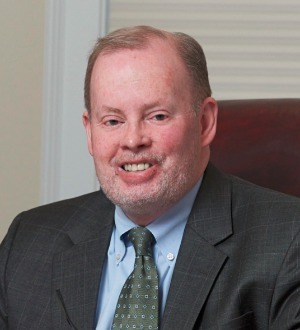 Michael J. Walsh is a founder and principal of the Walsh Woodard LLC law firm. He has dedicated his practice to the representation of individuals in personal injury actions. Mr. Walsh was admitted to the Connecticut Bar in 1987 and the New York Bar in 1988. He is also admitted to practice in the Federal District Court of Connecticut, the Eastern District Court of New York, the Southern District Court of New York and the Second Circuit Court of Appeals. From 1988 through 1989, Mr. Walsh served as a federal law clerk to the Honorable Ellen Bree Burns, who at the time was the Chief Judge, and now serves as Senior Judge, for the District of Connecticut. Mr. Walsh is an active member of the Connecticut Trial Lawyers Association. He has been an officer of the Association since 2007, and served as President of the organization in 2012-2013. He has held every officer position in the Association. He presently serves on the Association’s Executive Committee and Board of Governors. He also is a member of the Continuing Legal Education Committee, Legislative Committee and Medical Malpractice Committee. Mr. Walsh is board certified as a Civil Trial Advocate by the National Board of Trial Advocacy. Additionally, Mr. Walsh is an Advocate Member of the American Board of Trial Advocates (ABOTA). In 2010, Mr. Walsh was inducted as a Fellow of the prestigious American College of Trial Lawyers. Membership in the College is limited to less than 1% of the lawyer population of each state. Mr. Walsh currently serves on the Executive Committees for both the American Board of Trial Advocates and the American College of Trial Attorneys. Mr. Walsh has extensive trial experience handling plaintiff’s personal injury actions in Connecticut’s state and federal courts. His practice consists of complex matters involving catastrophic loss and injury, including medical malpractice and wrongful death lawsuits. Mr. Walsh frequently appears in the Connecticut Appellate and Supreme Courts, and is listed as attorney of record in several reported Connecticut Supreme Court and Appellate Court decisions, including Suarez v. Sordo, Chylinski v. Walmart, Inc., Meek v. Walmart Stores, Inc., Rumbin v. Utical Mutual, Filippi v. State of Connecticut, Weigold v. Patel, Falls Church v. Tyler, Cooper & Alcorn, and Arroyo v. UConn. Additionally, Mr. Walsh has served as an adjunct professor at the University of Connecticut School of Law. He is a member of the Hartford County Bar Association, the Connecticut Bar Association, the American Bar Association, the American Association of Justice and is a James W. Cooper Life Fellow of the Connecticut Bar Foundation. Mr. Walsh is frequently asked to testify before the Connecticut Legislature on issues pertaining to personal injury law and legislation. Mr. Walsh was educated at Stonehill College where he graduated with high honors in 1984, with a Bachelor of Science degree in Mathematics and Computer Science. He received his law degree from University of Connecticut in 1987, where he served on the editorial board of the Connecticut Law Review.